Temperament: Cheerful, social, loyal and brave, the Barbet is bred to love water and work happily in any weather. 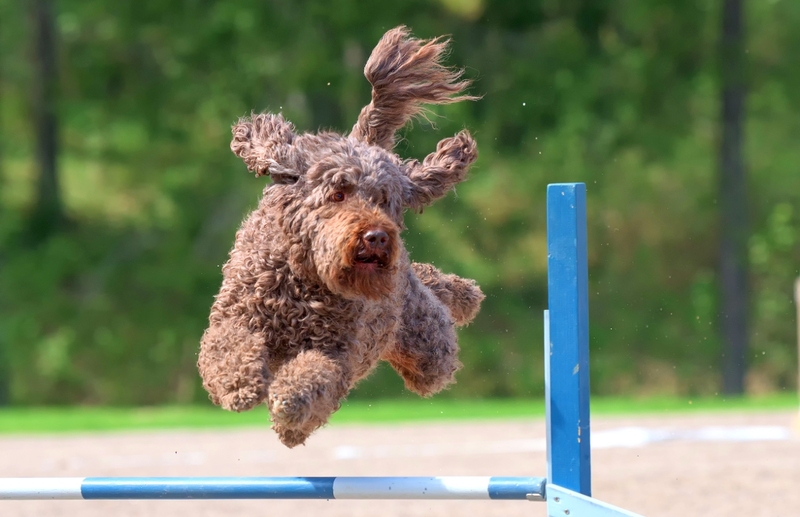 An ancient breed, the Barbet is a water-retrieving gun dog thought to be most like the original European curly-coated landrace from which other similar dogs descended, like Portuguese and Spanish Water Dogs and Poodles. After the European wars of the 20th century, numbers dwindled, but dedicated breeders and fanciers have helped support a resurgence in both population size and awareness of this charming breed. Rarely, epilepsy, umbilical hernias, hip dysplasia and entropion. Can be tested for PRA-prcd.